Bitter western Sydney rivals Penrith and Parramatta met just a month ago, but it takes nothing away from the intensity of this Sunday afternoon’s meeting at ANZ Stadium. 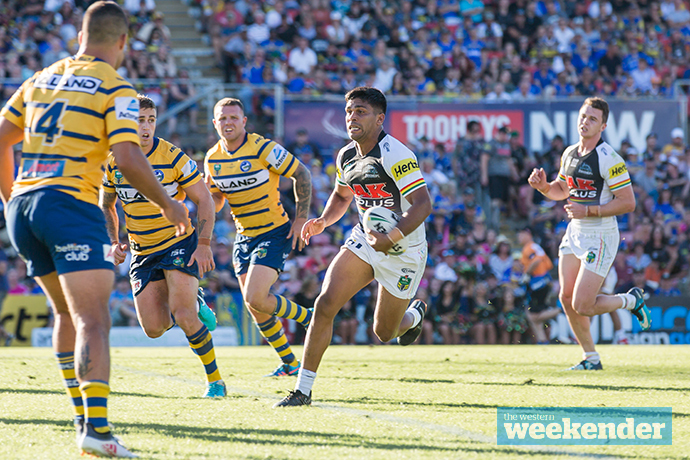 The Panthers will be looking to continue the form they showed against the Cowboys last Thursday night in Townsville, while the Eels are still looking for their first win of the season after a disastrous first month of footy. Things are getting desperate for Parramatta and a desperate side is without question a dangerous one. So much has happened since that opening round encounter between these two sides and it’s likely to be a very different battle on Sunday. Nathan Cleary was the second half hero against the Eels on opening day at Panthers Stadium, but with the youngster out with a knee injury, it’ll again be James Maloney who is asked to step up and guide the side around the park. 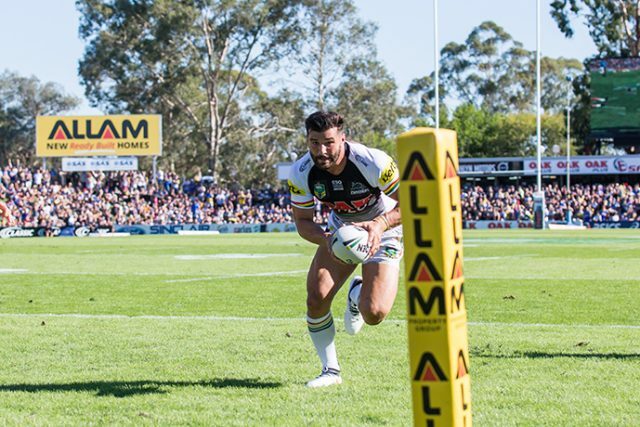 The veteran did a fine job against the Cowboys – in fact it was a five star performance that perhaps allowed Penrith fans to breathe a sigh of relief; their worry over how their team would cope without Cleary somewhat calmed. Parramatta will surely be out to shut Maloney’s game down, similar to the attention the Panthers paid to Cowboys playmaker Johnathan Thurston. And that really is the key for the blue and gold. With Tyrone Peachey set to start the game at five-eighth again, it’ll be up to Maloney almost alone to guide Penrith’s attack, and if the Eels do manage to target him effectively, it could present a problem. But truth be told the Eels are in all sorts of pain. Despite getting on the board first against the Tigers on Easter Monday, they fell apart more and more as the first half went on and surrendered without a whimper in the second stanza. Their edge defence is awful, which really opens up the opportunity for Isaah Yeo and Viliame Kikau to be unleashed – they could really make mince meat of the Eels on Sunday. Penrith clearly have the better forward pack, while injuries mean the Eels are without some of the players they’d usually rely on to spark some much-needed attacking flair. 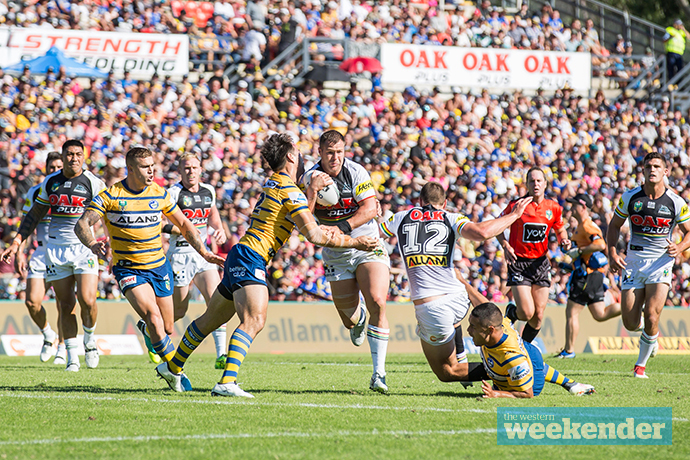 Parramatta’s only hope in attack is the high ball – they may find some success in targeting Penrith’s wingers, but they offered little when presented opportunities close to the Tigers’ line on Monday. It’s hard to imagine they’ll find any sort of significant form turnaround between the game on Monday and this week’s clash at ANZ Stadium. What impressed me most about Penrith last week was how they got energy from their defence. With every effective tackle, with every shut-down of Thurston, the side grew in confidence. Holding the lead from the early stages also ensured the Panthers didn’t have to play catch-up footy and could control the game from the outset. A good start is important again. If Penrith are disciplined and controlled, they should be able to frustrate the Eels out of this one. The points will come – just like they did in round one – but the Panthers need to be patient. Any slip-ups could open the door to a Parramatta side that will win eventually in this competition just through pure desperation. But if things go the way they should here, I honestly doubt Parramatta will get much of a look in. The Panthers and Eels do battle at ANZ Stadium on Sunday, April 8. Kick-off is at 4.10pm.